One of the biggest perks of investing into a Nikon F system is that you have a choice of legacy glass dating back to 1959, limited to certain bodies of course. Many Nikon cameras can utilize these vintage beauties, some of which being the pro body Nikon F, F2, F3, and the F4 (The 3 & 4 in Shutter/Program modes only). You can also mount non-ai lenses on the early Nikkormats, the fantastic Nikon FE and FM, and the new Nikon DF digital body. The Nikkor-H 28mm f3.5 is an attractive lens due to its very low cost on the used market, but can it still deliver quality shots on modern film emulsions? This lens is great because it has a classic, yet unique character that produces images that remind me of vintage cinema. 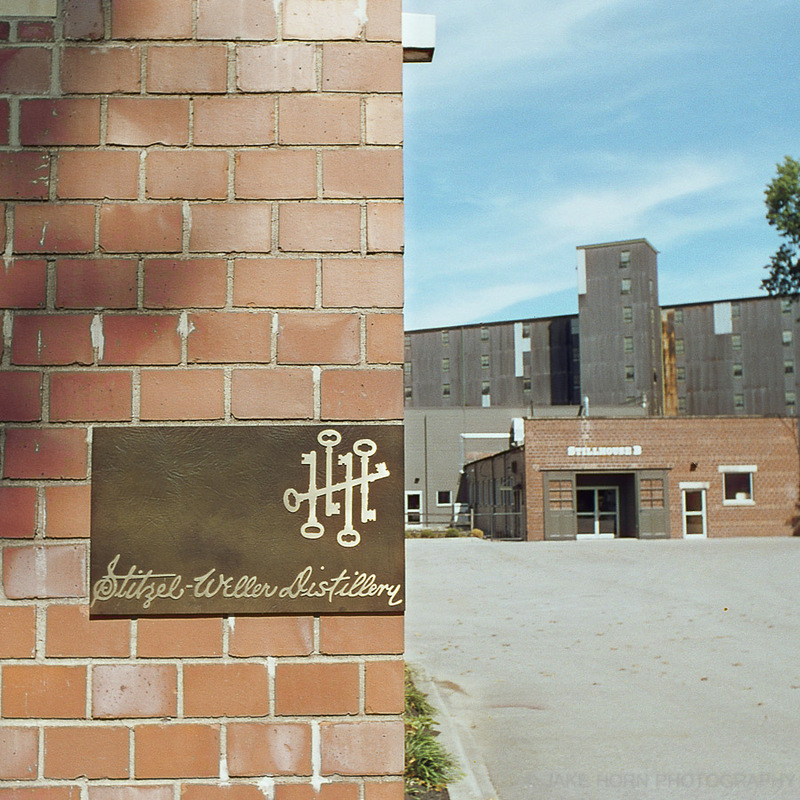 In fact, I have grown fond of shooting it with Cinestill 50D, which is re-rolled Kodak movie film stock. If you are looking for something different in your every day shots, this lens may be for you. In addition to that vintage look, it possesses all the handling traits that were cherished in the old manual Nikkors. 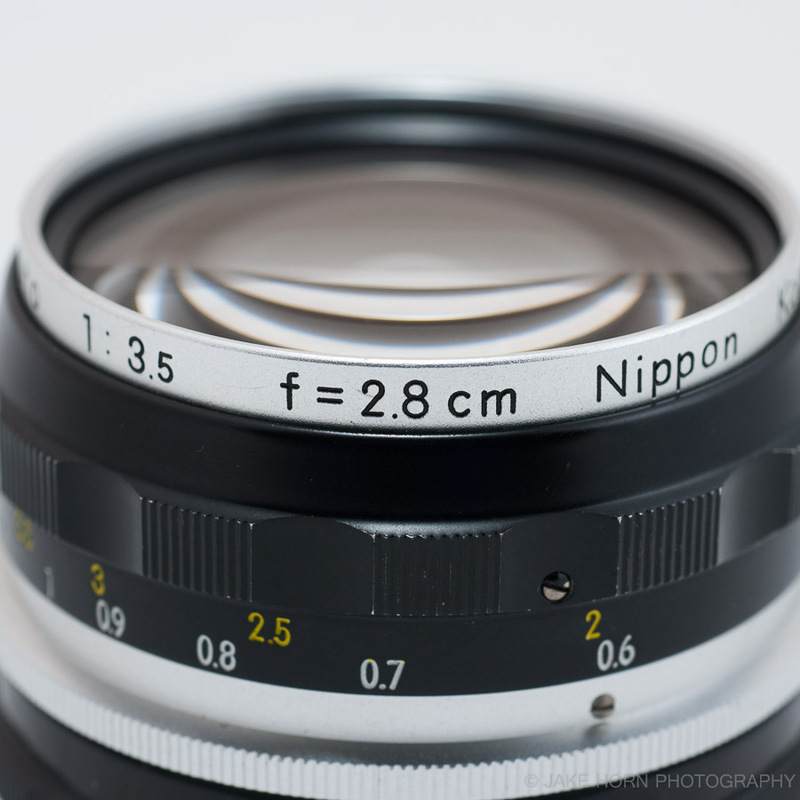 It is small, light (221g w/out caps), 52mm filter size, and has a very long focus throw. A long throw is a welcome feature when shooting with manual lenses. Though, it is debatable if a long focus throw is necessary in a 28mm f3.5 lens. A moderate wide with a large minimum aperture will always have above average depth of field. The most important thing this lens has in its favor is that it's cheap. It's so inexpensive that it's hard to believe that it could possibly be worth buying (around $40 for one in decent condition). If you go with the chrome ring version, the price is about $25 steeper, but it makes this one handsome lens. There are a few negatives with this glass. If you are shooting with a Nikon DF or scanning your film at a DPI greater than 2400, then you will be disappointed while viewing at 100% magnification. I think that the lower resolution adds to the charm of this lens, but if you come across a once in a lifetime moment, you might be longing for a lens that will give you much better results. The 28mm 3.5 also shows quite a bit of chromatic aberrations in high contrast scenarios (see example section below). One mechanical issue that I have noticed is with the focus ring movement. There is a small, yet noticeable, flat spot where the ring gets stiff. It occurs at the one meter mark on my copy's focus indicator. While not a huge deal, as it's subtle, it is annoying while trying to refine focus with one finger. I have owned two samples of this lens and this has been present in both lenses, so be prepared to inspect one thoroughly. If you like using lenses for their character and not the resolution, then you need to get this lens. Forty bucks for a Nikon lens, how can you go wrong? 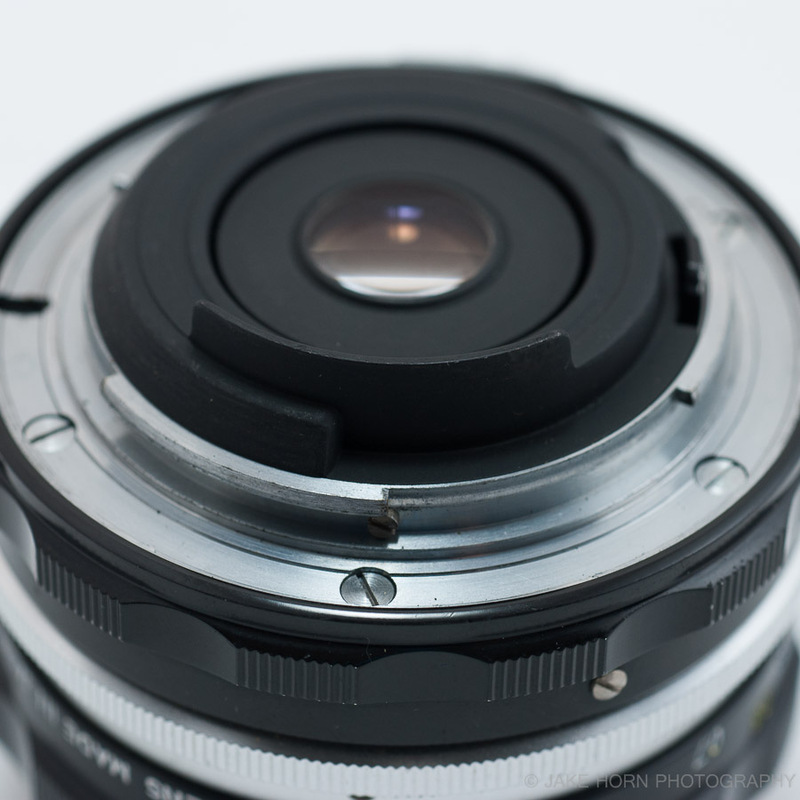 Just make sure your camera will accept Pre-AI lenses or you get an AI modified version of this special 28mm.